Monte Cristo: A Spirit Caught on Film? Imagine the scene: you are walking through Monte Cristo, Australia’s Most Haunted House, taking photos at every opportunity. There are moments when your camera decides to play up, but on the whole, it still works. You and your family are the last of a group going through the house and the guide is no longer around. Your family move outside onto the balcony on a warm, sunny day. You may now well be the only person inside the house. You stand alone in the upstairs drawing room, your camera plays up a little bit, but eventually you manage to get some shots. After spending the weekend away, you arrive home eager to look at all the pictures you have taken, but there is one photo in particular that catches your attention. It is the one from the upstairs drawing room inside Monte Cristo, which appears to look nothing out of the ordinary. ‘The Drawing room was a room that Mrs Crawley spent a lot of time in. She has been seen on several occasions. Mirrors are the best place to pick up spirits’. What are your thoughts? Could this be the spirit of Mrs Crawley, or even Mr Crawley – one of the original owners of Monte Cristo? Have you been alone in a haunted house? Have you ever caught a spirit on camera? Surrounded by Ghosts – A Visit to Australia’s Most Haunted House. 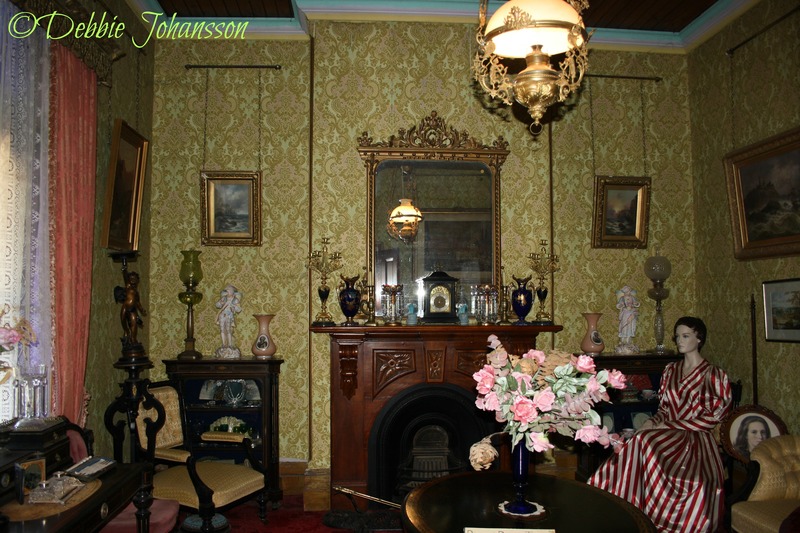 Last month, I gave you some background and showed some photos of what it looks like inside Monte Cristo – Australia’s Most Haunted House. This month I will tell you of my experiences while I was there. Coincidence? Or did something really happen? I’ll let you be the judge. Before entering the house, naturally I wanted to take some shots of the outside. I had taken a photo of a garden statue without any problems, yet when I turned around to take a photo of the house my camera decided to play up. Now I have had this camera since 2009 (a Canon EOS 100D) and have never had any problems with it. It had remained flawless, until this particular day. In my frustration, I jokingly told the ‘spooks’ to quit mucking around and behave – I was only just getting started. The camera then worked without any problems for a little while, however, every now and again my camera refused to work in taking a shot. This would happen in the house and where the coaches were kept. A couple of times while in the ballroom, the cap of my camera came off, one time even rolling down the floor. This is also something that has never happened before as I’m very careful with the lens cap. By now my son who kept picking it up was frustrated with me, but I told him it must be the ‘spooks’. No I did not feel the presence of any ghosts while I was there, however I felt I did experience ‘something’. I was alone in the dining room at the front of the house, the second room I went into and took a photo. Shortly afterwards, I felt a pressure upon my head and a feeling suddenly come over me. It was more an emotion than anything else; I was suddenly depressed, like a great sadness and it weighed heavily upon me. I wondered why this feeling came upon me as I wasn’t upset – I was quite happy to be there. As I moved further into the room, the feeling gradually went away. It is certainly something I can’t explain. Similarly, whilst in the original homestead, there was one room in particular I did not want to go near. I stood at the doorframe with my camera undecided on whether to take a photo or not – I did not like the feel of that room at all. I had a quick look, took a photo and turned my back on it before eventually leaving the house. The owner’s son happened to mention to some other guests that the ghosts slept during the day after scaring everyone at night. Or do they? Be sure to stop by again next month when I’ll be discussing a possible spirit caught on film. Do you believe in ghosts? Have you ever visited a haunted house and had problems with your camera or have a feeling suddenly come over you? Do you think I may have experienced ‘something’ or was it all just a coincidence? 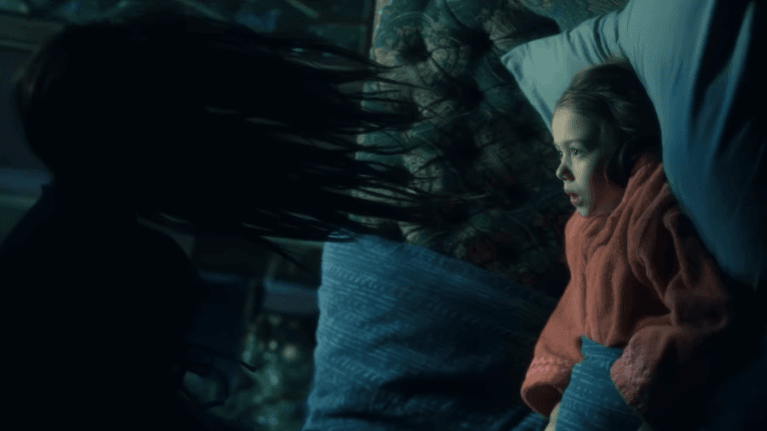 Have you ever had your own ghostly encounter? Monte Cristo – Inside Australia’s Most Haunted House. Looks can often be deceiving; belying its exterior as a beautifully renovated Victorian mansion, Monte Cristo has become well known as Australia’s Most Haunted House. Many who have visited here have experienced disturbing phenomena, and in April of this year I visited it for the first time. It has been on my ‘must see’ list for some time now and I was even more enthusiastic to make the visit when I discovered it was only about a three hour drive from where I live. 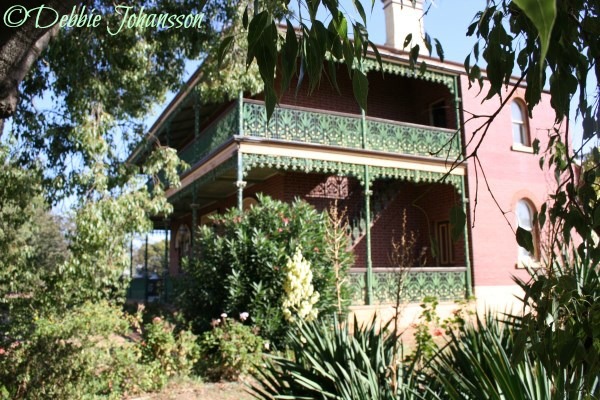 Built in 1876 by owner, Christopher Crawley, he became one of Australia’s richest men. His wife, Elizabeth, was believed to have ruled the household with an iron fist. 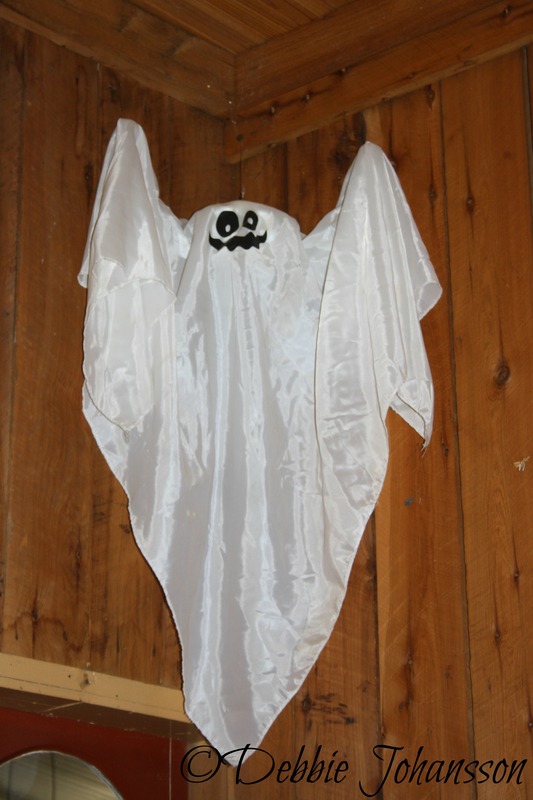 When the house was newly built, it was already showing evidence of ghosts. A photo taken during the time reveals a figure standing in a position where nobody can possibly stand. It is believed that the ghosts of both Mr and Mrs Crawley, staff members and other unidentified personalities haunt the premises. 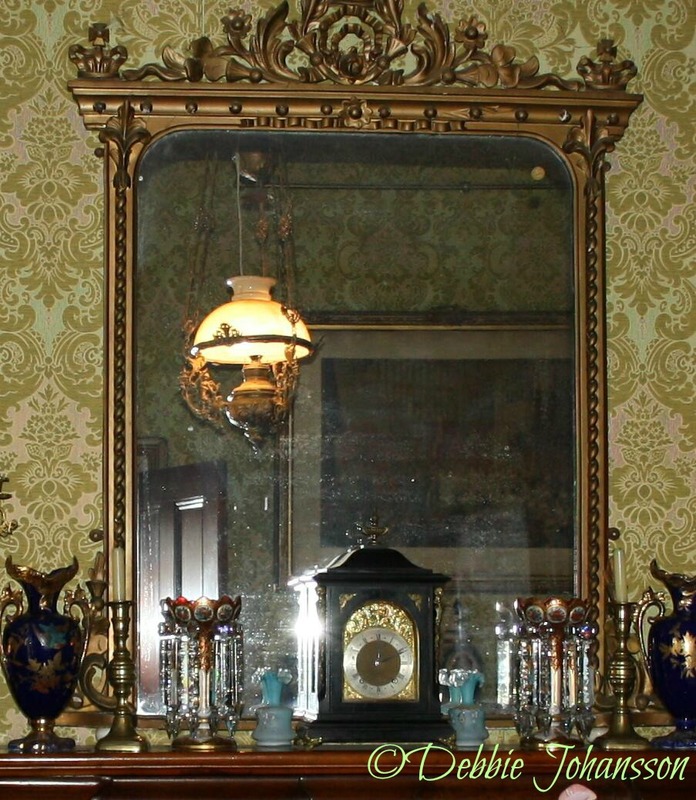 After the deaths of the original owners, the furniture was sold at auction in 1952. It eventually stood abandoned, vandalised and in ruins, until the current owners bought it in 1963. The owners have lovingly restored it and furnished the interior with antique and Victorian furniture representative of the periods up to the 1880s. The coach house and stables contains one of the finest collections of horse drawn vehicles within Australia. At the top of the stairs is a bedroom known as ‘the boys’ room’, where my husband and I were amazed at the heavy wooden furniture. They were big, solid antiques and when questioned, the guide told us that they had to be lifted by crane over the balcony. A guest had apparently once put in quite a substantial offer for the bedroom suite – none other than Russell Crowe! Here is just a glimpse of some of the photos I took inside the house and around the grounds of Monte Cristo. Monte Cristo has been visited by journalists and film crews, as well as investigators from around the world. The house is now open for daily visits and ghost tours. To find out more about this fascinating house and its many hauntings, visit their website. Be sure to stop by again next month when I’ll be discussing my experiences within Australia’s Most Haunted House. 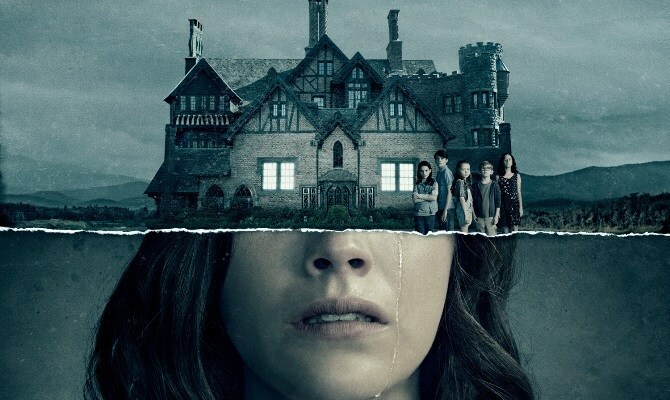 Have you ever visited or lived in a haunted house? Do you collect antiques? Would you fancy having to say ‘no’ to Russell Crowe?